Click on any image on these pages for a full size version. 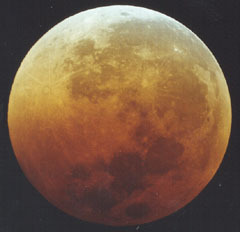 For another camera and more information on the eclipse, see the Astronomical Society of Victoria. Visit Universe Today for a complete list of astrocameras. Have a look at the gallery of past images. 28,969 hits to the front page. Quicktime movie from 8:45 until 11:15 pm.